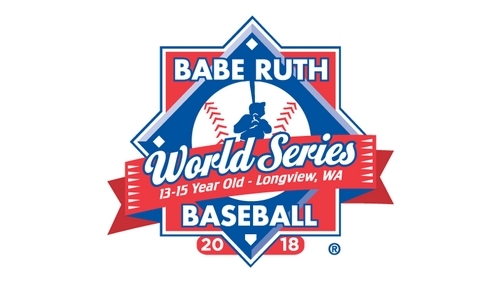 The Cowlitz Black Bears have partnered with the 2018 Babe Ruth 13-15 World Series for a special day at David Story Field in Longview on Wednesday, August 8, 2018. According the Longview World Series official website, activities start early at the ballpark and continue through the Black Bears game that evening. The day will start with a coaches breakfast and a walk-through with umpires at Story Field early in the day. At 10:30 am, all teams will come to Story Field in uniform for pictures. Noon to 3:00 pm at Story Field: Skills competition, home run derby, team pizza feed. This is free to attend and open to all fans. We will be joined by former Oregon State player Max Gordon and hear his inspirational story of how he evolved as a Beavers walk-on in 2011 to starting centerfielder in the 2013 College World Series. 6:30 pm Cowlitz Black Bears game at Story Field: The Black Bears are part of the West Coast League, a college wood-bat league. This will be their final game and will be Fan Appreciation Night with fireworks to follow. A large crowd is expected, first pitch is at 7:05. We appreciate the Black Bears hosting the World Series players and coaches. Rather than a conventional opening ceremony and banquet, we've instead opted to have all teams be part of the Black Bears game. All 10 World Series teams will be introduced at some point during the game. World Series players, coaches, bat boys and diamond girls will be admitted free. It is going to be a fun, festive night and another night at the ball park! World Series families are invited to join the fun, tickets available at the gate. Please come support your local baseball organizations and be part of this exciting day. For more details, links, and ticket information, go to the Longview World Series website.